Silvelox Overlap SIX gives the look of a traditional sectional with the high performance of the Silvelox Overlap range. 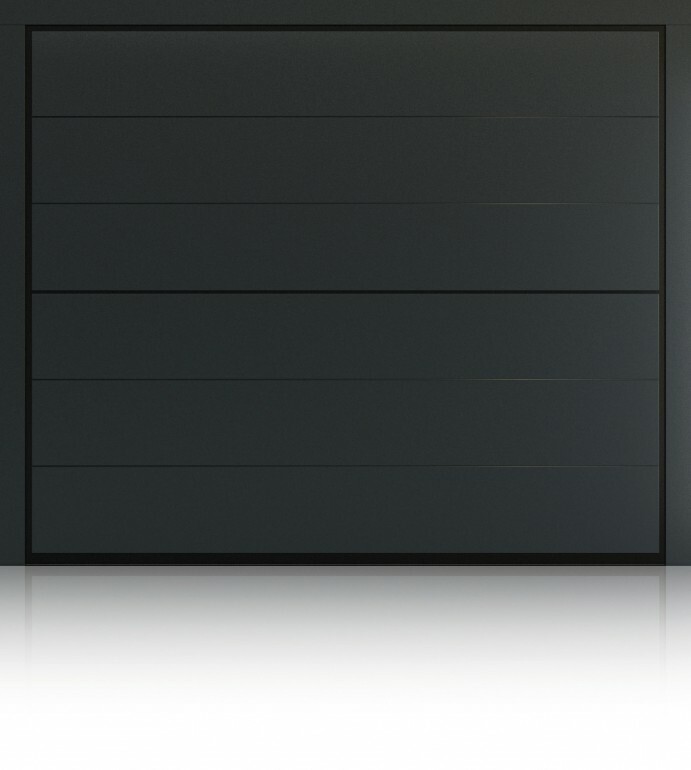 With the Overlap range, Silvelox have created a totally new type of garage door; the trackless sectional. Although a sectional garage door, the Silvelox Overlap SIX has little in common with the traditional sectional garage door. Firstly; the Overlap is always in two sections regardless of size, not four or more as with a traditional sectional. Secondly; the most obvious factor, there are no obtrusive ceiling tracks. The Overlap gives a totally clear garage space when the door is closed. Even the operator is neatly tucked away inside the head rail. The sections of the Silvelox Overlap SIX are made of timber, it is naturally insulating and strong. To construct a section; a steel box section chassis is fabricated then okoume hardwood engineered boards are built around it. Once this is done the SIX design is cut into the face of the panels using a CNC router. The frame of the door is made from heavy 2mm thick galvanised steel which is lacquered anthracite for a wipe clean finish. 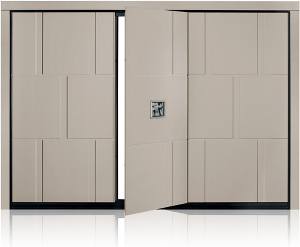 Silvelox Overlap SIX is one of three doors in the range where it is possible to have either a timber or metal surface finish. The timber is okoume hardwood which can be stained from the standard range of Silvelox finishes or lacquered in one of the standard colours. 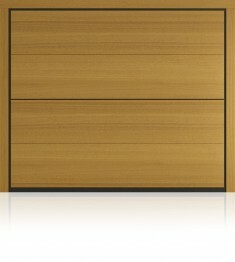 It is also possible to have the door lacquered to any colour from the RAL chart or matched to a sample provided by you. If you love the natural beauty of wood but, would prefer a different species to okoume, the SIX can be veneered with oak, larch, Northern spruce or teak. In the metal finishes you have the same lacquered options as with okoume and the option to have the metal coated with a pvc foil. These foils come in a range of colours with embossed or timber effect finishes. Your Silvelox Overlap SIX will keep the cold out more effectively any other type of garage door. The SIX has insulation values as good as U=1.0W/m2k. This is around one third better than a traditional sectional door. We have a Silvelox Overlap door on display at out Lancashire garage door showroom. 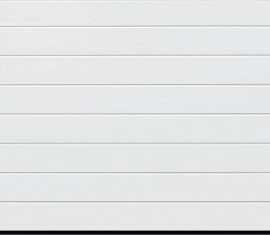 Why not come and see how great they are for yourself. Silvelox Silmotion door operator integrated in to the head rail. Additional receivers and handsets are available on request.